Do you struggle with what to say in your cover letters/emails? In a recent post, I provided a formula for how to write a cover letter. Now I want to show you some real-world examples, so that you can see how you can put the principles into practice. (If you haven’t read that article, I suggest reading it now as the examples will make more sense). The first letter was written for an administrative assistant, the second for a sales executive, and you will see that each is different in approach. But fundamentally they follow the same principle which is the one I preach over and over again. You must a) understand the needs and concerns of your target audience, b) identify why you are uniquely qualified to meet those needs and c) make that connection for the employer. Let’s look first at the letter written for the administrative assistant. (To see a larger version, click on the image twice). Notice how the letter addresses many of the common issues facing executive assistants such as the need to work for multiple managers, the need to handle confidential matters and the skills required to organize heavy workloads. Now look at the letter for the sales executive. Here results are what count, and this letter clearly demonstrates that the sender has relevant experience. 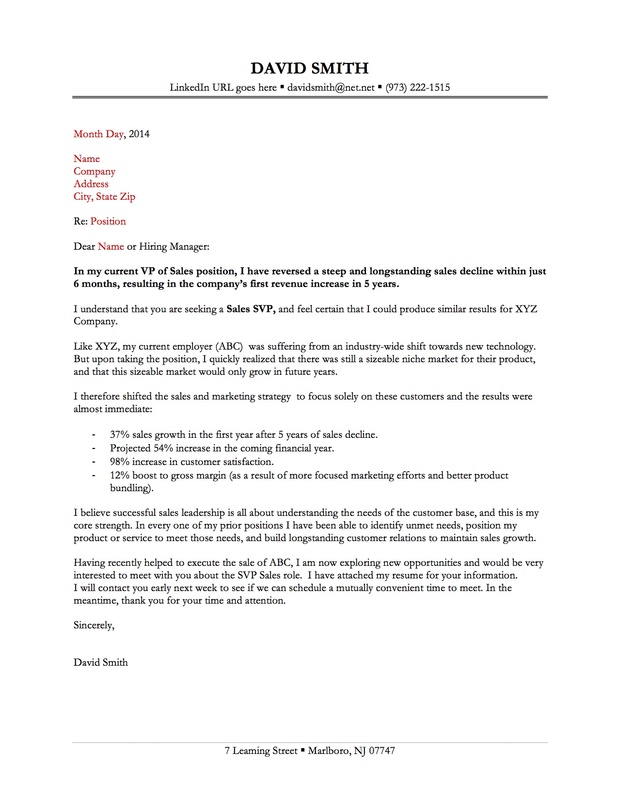 In fact, rather than describing his skills, this letter focuses on outlining how he solved a specific problem (one that he knows is also plaguing this company). This letter will grab the attention of recipients because it is so carefully targeted, and because it is packed with impressive results. 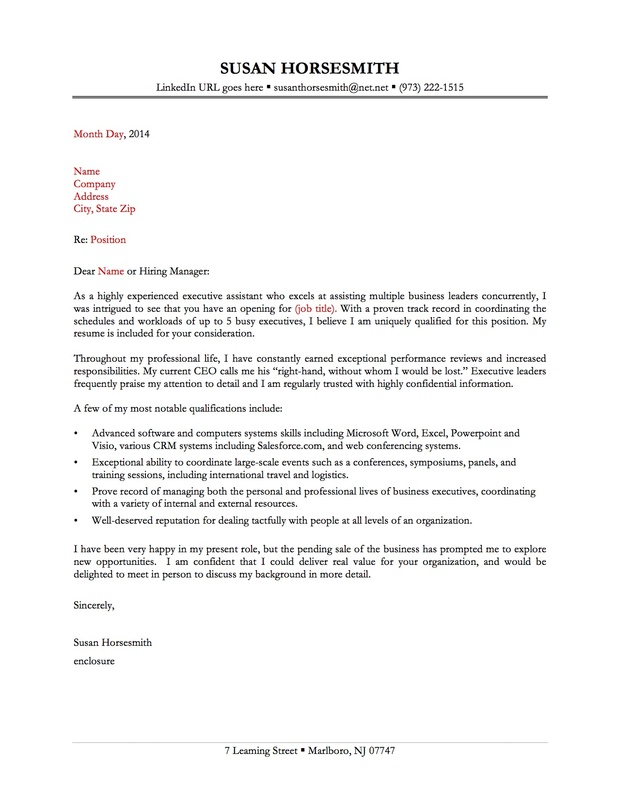 Each of these cover letter examples works because the applicants truly understand the needs of their target audience. Generic cover letters have no impact whatsoever, but you can open doors very effectively by taking the time to craft an email or letter that shows how you can solve specific problems. I hope these letters have inspired you to revisit your own and given you ideas for improvement. Good luck! I am in a carrer change transition but already have some months of experience in data networking. I wonder how (and how long) I should apply your AIDA formula with my low experience for network administration jobs offers?